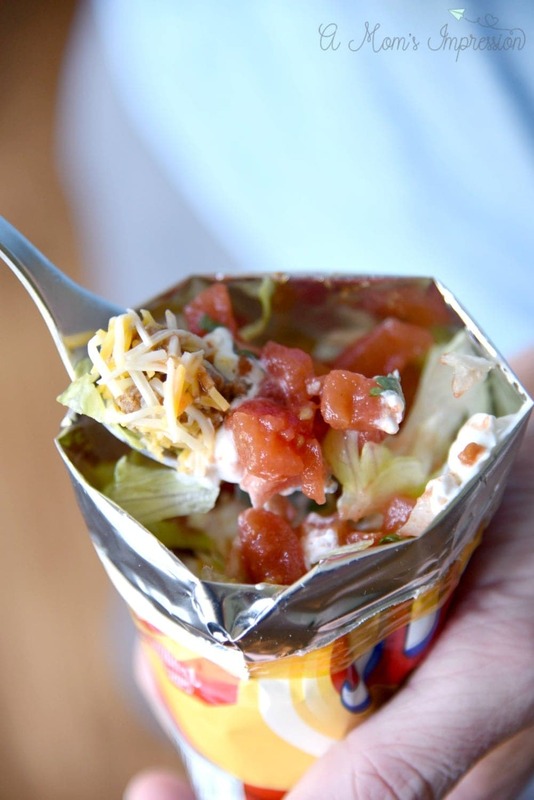 If you are looking for an easy tailgate food recipe, look no further than this walking taco recipe. It is easy to make, easy to eat and will get everyone in the game day spirit! Thank you to Red Gold for sponsoring this post. Tailgating is ritual that has occurred before the big home game for decades. No matter how hot, cold, rainy or sunny, you can always find die-hard fans out in the parking lot tailgating. Sporting their team colors, flying their team flag and cooking up their own brand of tailgate food, there is nothing like walking around the parking lot before kickoff to see all of the sights. There is no end to the possibilities of delicious food to cook and consume before, during and after the game. Indeed, I have seen some fans go all out in creating some pretty impressive entries onto the tailgating food menu. We love football and entertaining our family and friends so I am always looking for the perfect recipe to enjoy on game day. Lately, we have huge fans of The Walking Taco. 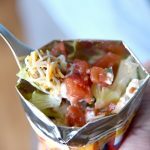 I have developed this walking taco recipe that is simple, easy and fun to eat for your next tailgating party. What Is A Walking Taco? I love everything about the walking taco, especially the name! Its name makes it even SOUND fun to eat! But before I give you this easy walking taco recipe, you may be wondering what exactly a walking taco is? 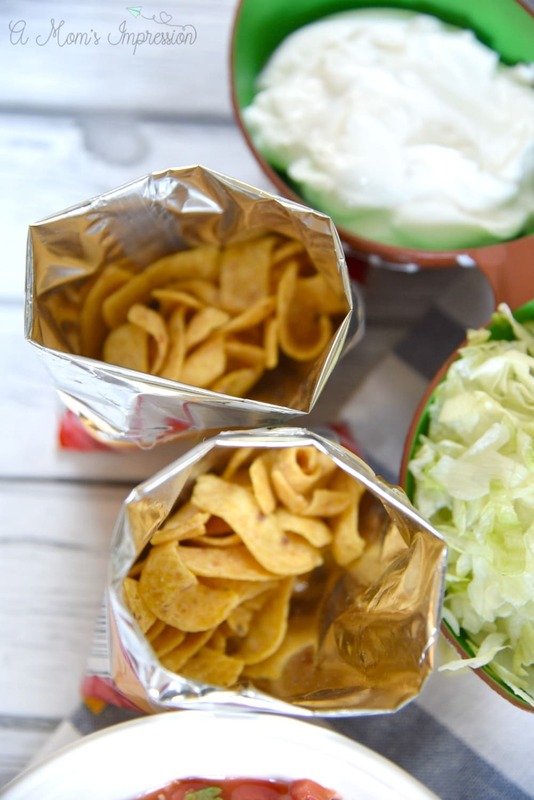 A walking taco is simply a “taco” made in a small bag of corn chips. It is a “taco in a bag”! 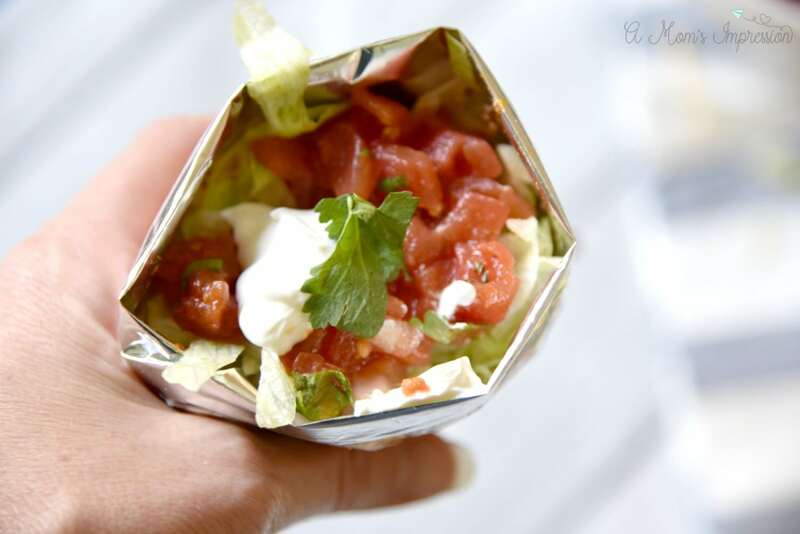 Just like making a taco in real life, there are almost endless possibilities when creating your own walking taco recipe. So, you are wondering how to make a walking taco? It is pretty easy! Usually, it revolves around a bag of corn chips, topped with whatever you would usually put in your taco. Some sort of meat, salsa, cheese, sour cream, etc. ( I make mine with homemade salsa, it really makes a huge difference, scroll down for the recipe!) All you have to do is pile your ingredients into your bag of corn chips (some people like to use other chips as well!) and you are ready to eat! Why Is A Walking Taco The Perfect Tailgate Food? 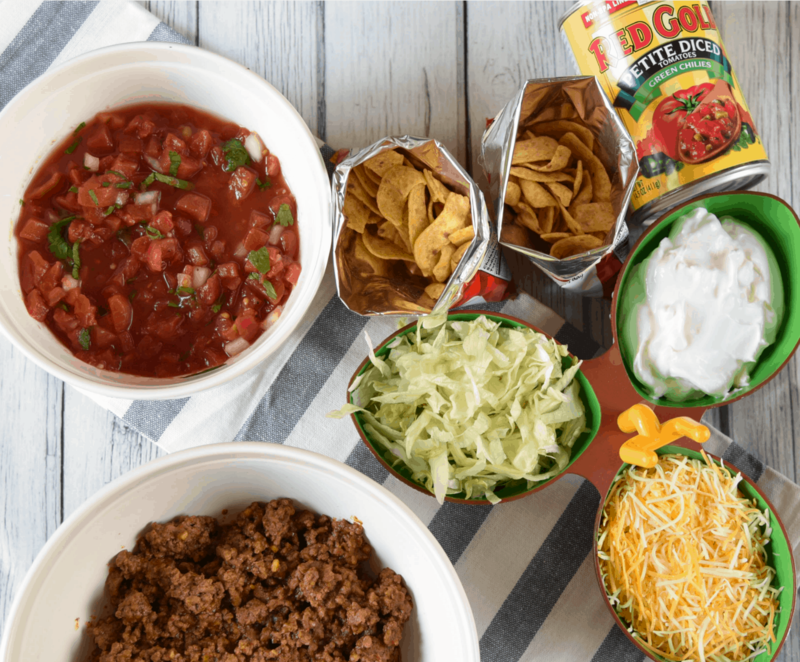 We love to make walking tacos for tailgating and also for game day parties at our house. We put all of the ingredients out so our guests can pick, choose and create their own walking taco recipe. The great thing about this particular tailgating food is that, well, you can walk around with it. Just put out some plastic forks and you and your guests can roam about the parking lot, taking in all of the sights. If you are having a game day party at your house, everyone can hang out in the kitchen, the family room or wherever the action is! It is the perfect tailgate food because it is fun, creative, easy to eat and has a minimal mess! The one constant I always have in my walking tacos is to make my own homemade salsa. I feel like having a nice, fresh homemade salsa really makes this dish stand out. 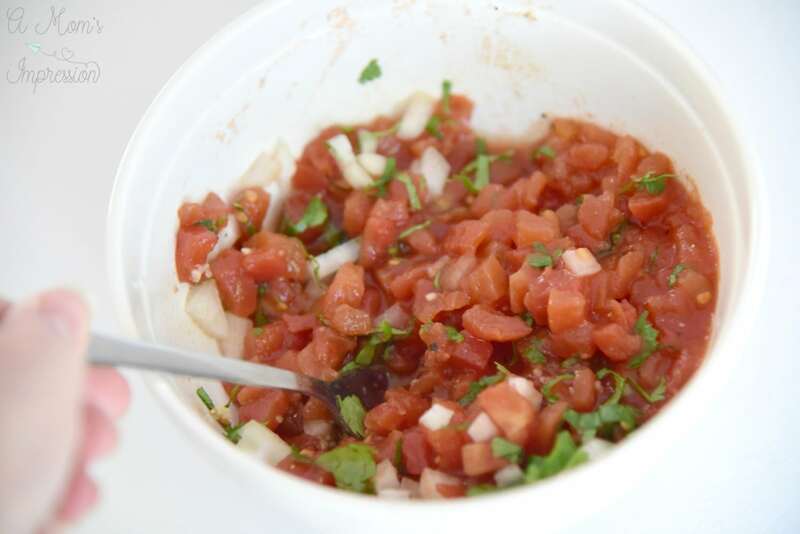 The most important ingredient in making a homemade salsa is the tomatoes that you use. 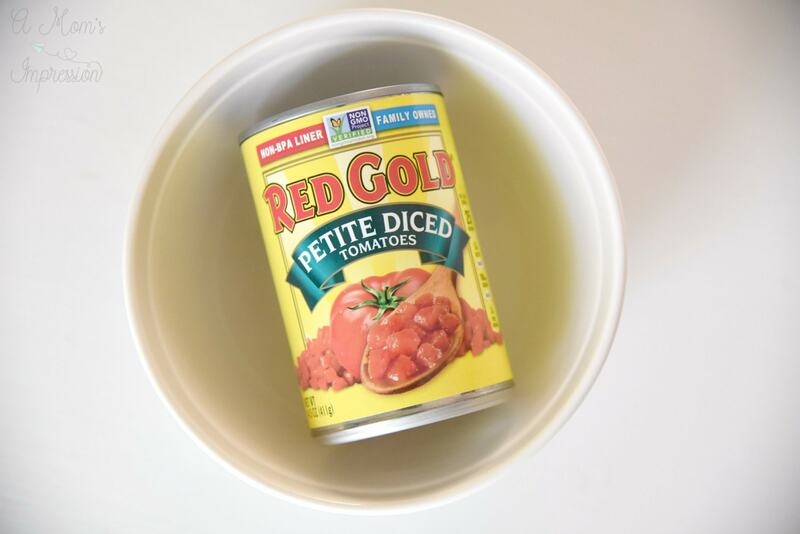 For our salsa, we always use, Red Gold Tomatoes. Why do we use Red Gold tomatoes? I think what really makes tailgating on game day so special is that it is usually a family affair. These recipes and these team traditions are often passed down through the generations. Red Gold Tomatoes are the same. Started in 1942 to answer the growing demand to supply food for the troops in World War II, the Reichart family has been producing tomatoes with quality and passion that only a family owned business can provide. 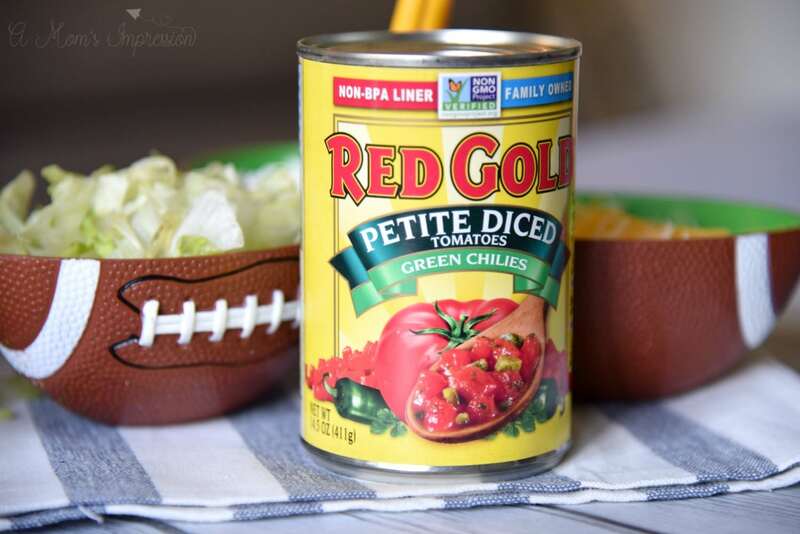 For the past 75 years, Red Gold has developed a family of 45 farms around the region providing tomatoes that you can count on to give you quality tomatoes you can use in all of your recipes. This sense of family has expanded beyond just their company. Red Gold has felt the need to help and embrace the world around them by giving back to their communities. In the past decade, more than 1.5 million pounds have been donated to food banks. In the past several years, Red Gold has also donated 3.7 million meals to families in need. And, in total, more than 150 tons of tomato products have been donated to support communities impacted by a disaster. In a world that seems to be getting more and more complicated, I love supporting a business that has a strong sense of family and community, just like I do. Preheat a large skillet, over medium heat. Add ground beef and cook about 8 minutes or until no longer pink; drain. While the beef is cooking add all of the salsa ingredients into a medium-sized mixing bowl and stir to combine. When finished, place plastic wrap over the bowl and refrigerate until ready to use. I will sometimes make this in the morning so that all the flavors have time to combine. Add taco seasoning packet, and water and bring to a boil. Reduce to heat to low and simmer for 10 minutes or until the sauce has thickened. Place taco meat into a serving bowl. Fold down the top of the bag of corn chips and layer the meat on top of the chips. Next add cheese, lettuce, salsa, and sour cream. I hope you enjoy my walking taco recipe. Feel free to improvise and create your own based off of this recipe. But I do suggest always making your own salsa and using Red Gold tomatoes!